Deadline: 21 June 2015 | Apply now! Stara Zagora (Bulgarian: Стара Загора) is a city in Bulgaria, a nationally important economic center. Located in Southern Bulgaria, it is the administrative capital of the homonymous Stara Zagora Province. The city has a population of appr. 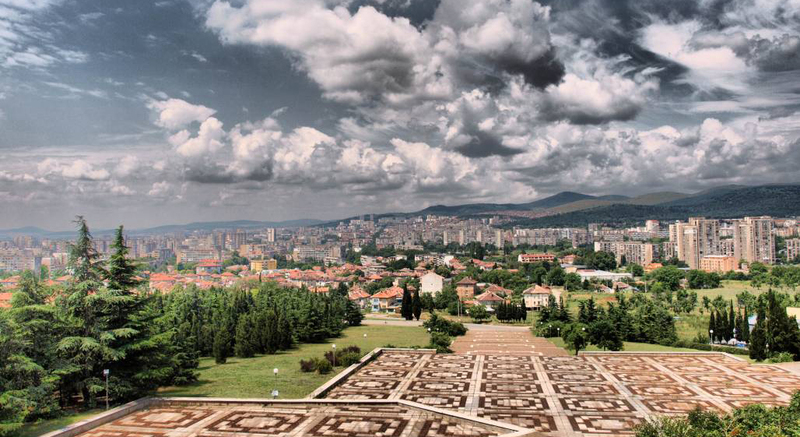 150 000 inhabitants and it is the fifth largest metropolitan area in Bulgaria. It is 230 km. away from the capital Sofia and 170 km. away from the Black Sea. The hotel were the training course will be held is some 15 km. away from the town in the spa resort of Stara Zagora Mineral Baths. The name of the hotel is "Shtastlivcite" (Щастливците). The project “The Social Entrepreneurship-New Opportunities” is an 8 days, KA 1, Mobility of youth’s workers/youth workers training and networking course that will take place in the city of Stara Zagora, Bulgaria, and will be held in the period of 20.08.2015(arrival)-28.08.2015(departure). The training course will host 31 youth workers coming from Bulgaria, Croatia, Czech Republic, Italy, Macedonia, Poland, Turkey, Romania and Cyprus. The main aim of the training course is to train the youth workers and youth leaders in the concepts of social entrepreneurship and social innovations and their practical implementation as instruments of solving important social issues, that couldn’t be effectively solved with the conventional methods known. Other objective of the training course, the participants to be acquainted with the possibilities that the social entrepreneurship offers in tackling the youth unemployment, which is one of the biggest problems of the current European youth generation. Main educational tools during the training will be the methods of non-formal education implemented by a team of experienced trainers and educators. The participants will be in the main roles during the whole educational process. Note: if you won't receive an e-mail by 1st of July 2015, it means that we found other suitable candidates for this project. between 20th and 28th of August: the training course takes place.